First, the California Department of Insurance has made several recent moves to increase the availability of insurance to cannabis businesses in that state, where legal marijuana sales are projected to exceed $5 billion in 2019. In the past year, the Insurance Commissioner has admitted half a dozen insurers to market and sell their cannabis-related insurance products in California. He has also approved a commercial policy form (the Cannabis Business Owners Policy, or “CannaBOP”), cannabis-specific lessor’s risk and equipment breakdown endorsements, and a surety bond program. 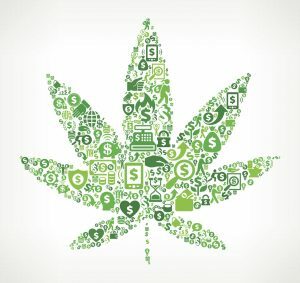 CannaBOP consists of first-party property and third-party liability coverages for dispensaries, manufacturers, distributers, retailers and other participants in the cannabis stream of commerce. The dire need for property damage and business interruption coverage, for example, became all too apparent in the wake of the October 2017 Northern California wildfires that devastated many grow operations and likely had ripple effects for businesses downstream. But a word of warning to policyholders: as with any type of insurance, cannabis policies must be carefully scrutinized to determine the scope of coverage and any exclusions that may provide a hook for insurers attempting to avoid coverage. CannaBOP, for example, reportedly will exclude coverage for losses involving cannabis whose origin and chain of custody is not traceable by means of a certain type of tracking system. It also reportedly will exclude losses involving virtual currency (such as Bitcoin), which is widely used in marijuana transactions due to federal restrictions on cannabis-related interstate commerce. Other specialized insurance policies marketed to the industry may have their own exclusions—product liability policies, for instance, may exclude products with relatively high concentrations of THC (the principal psychoactive constituent of marijuana). The bottom line is that, before purchasing a cannabis policy, policyholders must take care to ensure that it actually provides the desired coverage. 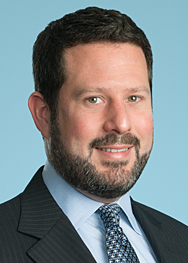 A second development is the emergence of what appears to be a judicial trend: courts ruling on disputed cannabis claims under “traditional” types of insurance policies appear to be less receptive to insurers’ coverage defenses based on federal illegality or notions of “uninsurability.” For instance, in a 2016 property damage coverage case, the U.S. District Court of the District of Colorado rejected such a defense because marijuana was legal in Colorado and the carrier had knowingly underwritten a policy for a marijuana business. In an August 2018 decision in a coverage case involving a commercial landlord whose cannabis-growing tenants damaged the rented premises, the Sixth Circuit Court of Appeals, applying Michigan law, echoed the sentiment that state legal protections for marijuana should control over federal prohibitions for coverage purposes. (In that case, the court nevertheless held that the policy’s “Dishonest or Criminal Acts” exclusion applied because it was undisputed that the tenants had violated Michigan law governing marijuana cultivation and were also targeted in a federal criminal investigation.) It may also be telling that in another recent Colorado case, an insurer withdrew its declaratory judgment action against its insured (an edibles bakery) and settled its coverage claim for a wrongful death suit arising from the insured’s product. The takeaways here are that (1) in jurisdictions where marijuana is legal, an increasingly broad range of new insurance products are becoming available (but must be carefully reviewed before purchase), and (2) even under traditional commercial insurance policies, policyholders should not assume an “illegality” exclusion closes off a potential source of coverage for cannabis. On the question of coverage for marijuana-related losses, the answer, my friend, is not necessarily blowin’ in the wind.